When this question came up, the first refection in your mind is perhaps heading to your iPad "Notes" app to check whether there is something lost located on "Recently Deleted" folder. Sure, this way can work. But it's worth noting that only iOS 9 or later users are entitled to do it and notes will be deleted permanently after 30 days. Well, you are likely to ask "Is there any other feasible ways to recover deleted notes on iPad?" Bring your doubts to join us in the quest for answers together. Truth is that you can go straight to get lost or deleted notes from your iPad as long as there are no running problems. What you can do is to take advantage of a sought-after iPad notes recovery, named Joyoshare iPhone Data Recovery, which can release you free from any data loss situations, such as virus attack, water damaged, factory reset, system crash, upgrade error, screen broken, etc. 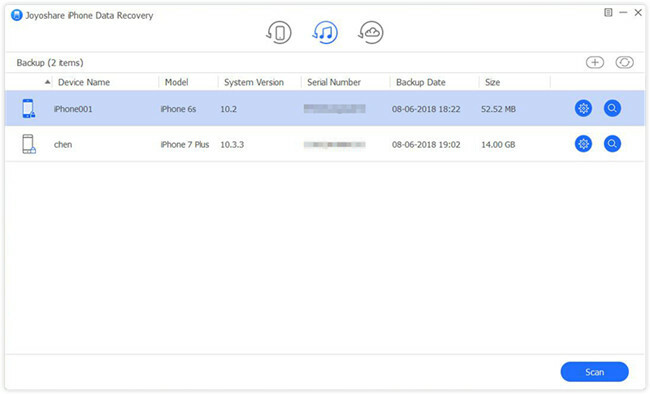 As a all-round data recovery program, it is well designed with broad compatibility to a huge array of iPad/iPhone/iPod touch models, even for iPhone XS/XS Max/XR. Notes excluded, there are more 20 types of iOS data supported under 3 intelligent recovery modes, like photos, calendars, reminders, call history, voicemails, contacts, videos, Safari bookmarks, WhatsApp/Viber/Kik messages, etc. 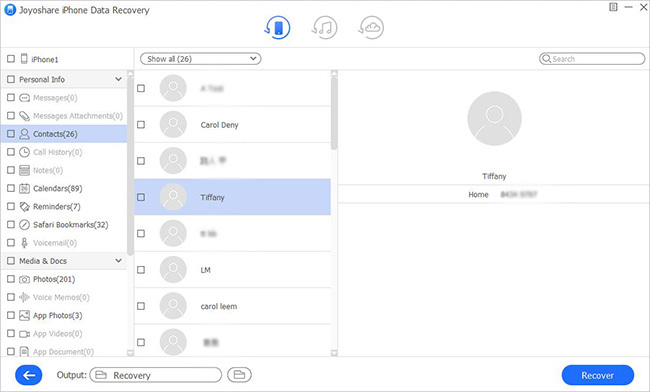 Alternatively, you can benefit yourself from its real-time decryption & preview feature, after which selective recovery is allowed thoughtfully. Now you can look at more details to familiar with recovery steps. No matter what models your iPad is, iPad Pro, iPad Air, iPad mini, or iPad, Joyoshare iPhone Data Recovery can support it well. Next we will take Windows version as an example. 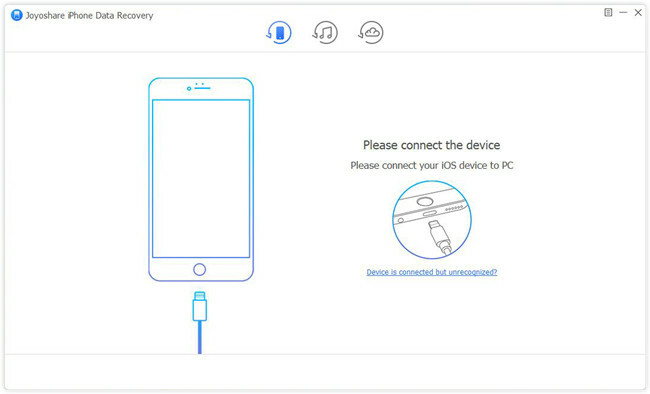 Go to Joyoshare download page to finish iPhone Data Recovery installation. Use an original USB cable to connect your iPad with computer after run this program. Do remember to "Trust" computer so that iPad recognition can be done smoothly. 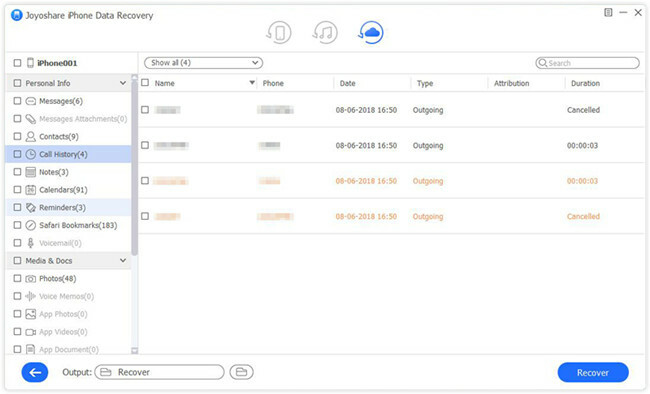 Having detected iPad successfully, Joyoshare will show device info and data types together under "Recover from iDevice" mode for you to choose. By default, all data files are checked. But you can only tick "Notes & Attachments" box. Then click "Scan" button to start to scan iPad data. Once the scan process comes to end, you can see both deleted and existing data. Preview them in the way you like. You can go forward to "Notes" category directly and check needed items. Follow that, tap on the "recover" button at the right bottom. 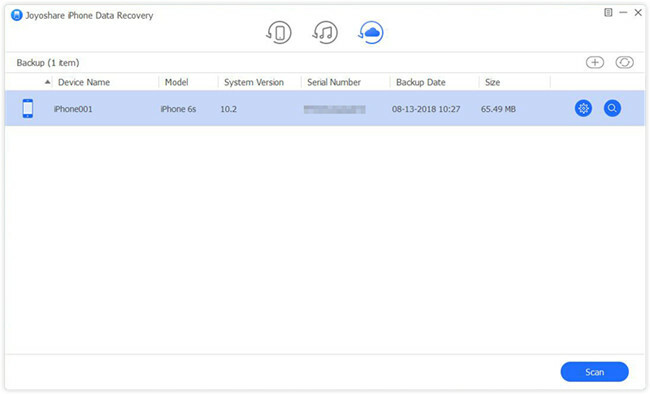 Get Joyoshare iPhone Data Recovery launched on your computer and switch the recovery mode to "Recover from iTunes". After that, all synced iTunes backup files will be detected right away. As per the device name, model, backup date and more info, choose the most relevant iTunes backup files. Hereafter, press the Gear icon behind it to confirm what data type you'd like to recover, like "Notes & Attachments". Continue to hit "Scan" button to initiate a scan task. 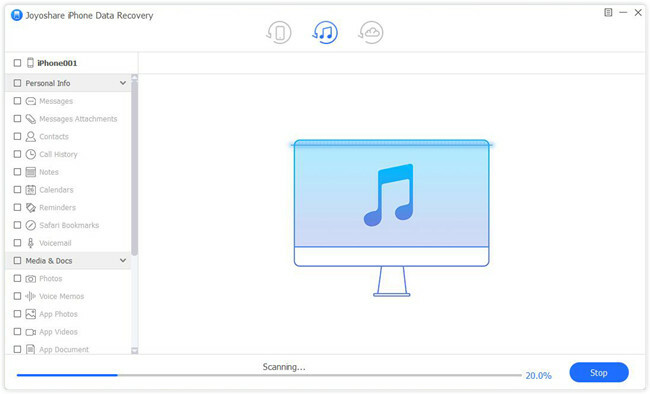 It will take you a while to complete scanning iTunes backup file. Afterwards, all recoverable notes will be taken to "Notes" folder. From the left column, access desired category and mark needed items according to your actual requirements. 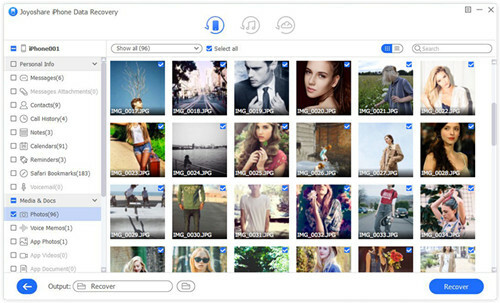 With a simple tap on "Recover" button, the selected files will be output immediately. Likewise, iCloud, a storage service, can come in handy to help you save iPad data. If you have turned on "iCloud Backup" option on "Settings", this method is also worth a try. No worries. Joyoshare will act as a medium to protect your data. 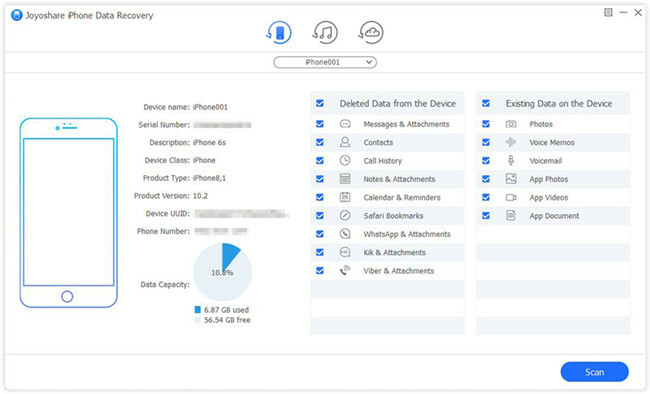 Run Joyoshare iPhone Data Recovery and navigate to "Recover from iCloud" mode. 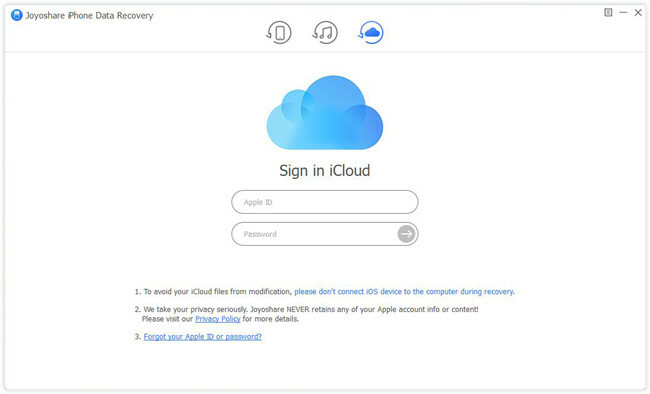 Enter your Apple ID and password to log in iCloud account, during which no records will be made. The iCloud backup files you create before will be displayed in a list orderly. Think about which one may contain your lost notes and get started to download it. Then it's time to pick up data types you want and press "Scan" button to find iPad data. All found data will be classified in the left categories once the scan assignment ends. You can filter out unnecessary data by choosing "Only show the deleted" or search specific files with a "search" tool. When you have ticked designated iPad notes, you can set about recovering them on local folder with a "Recover" button.